A few years ago, I was one of the first interns of the Patrician Patronage Project (PPP) who had the opportunity to stay in Florence for three months and to discover the magnificent cultural heritage of this city. My assignment was to delve into the art patronage of several Florentine patrician families, and to add all the artworks that were commissioned in the period between 1530 – 1670 to the PPP-database. Furthermore, I was assigned with the ‘special’ task to research three patrons in particular: Niccolò Gaddi (1499 – 1552), Niccolò Ridolfi (1501 – 1550) and Giovanni Salviati (1490 – 1553). Before starting my research, I knew very little about these men. Yet, they seemed to have a lot in common: they were (1) descendants of important Florentine families, (2) cardinals residing in Rome and (3) important art patrons in sixteenth-century Italy. Furthermore, these three cardinals were so-called fuorusciti (exiles), exiled by the Medici family after the fall of the Florentine Republic in 1530. 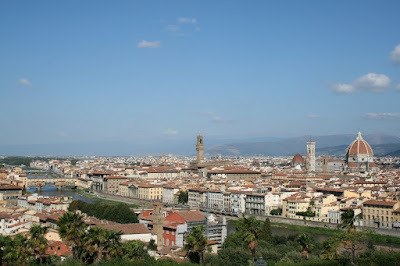 When we talk about Florence, we talk about the Medici. However, the Medici only receive their ‘real’ power in 1530, when the last Florentine Republic falls and the city was forced to submit to the authority of Alessandro de’ Medici (1510 – 1536). This event marks the beginning of the rule of the Medici over Florence, a leading position which the family retaines for over two centuries. Another – less known - result of the collapse of the Florentine Republic was the exile of a substantial group of Florentine patricians, who were considered opponents of the Medici rule. These fuorusciti gathered in cities like Venice, Lyons, Ferrara and Rome. Strengthened by their anti-Medicean sentiments, an important network was set up connecting the fuoriusciti throughout Europe. This network remained active under the rule of first Alessandro and later Cosimo de’ Medici, but had its heyday in the 1530s and 1540s. It might seem strange to start my research about these three exiled cardinals in the city from which they were exiled: Florence. However, since they were members of important Florentine families, their roots lay within this city. And although exiled, they kept close ties with their hometown. Personal correspondence with their families in Florence gives insight into their day-to-day affairs, and at times about their cultural affairs. Another great source is the Medici archive, the ‘Mediceo del Principato’, kept at the Archivio di Stato in Florence. There one can read reports of agents (or spies) of the Medici, who kept close eyes on the fuorusciti, and reported their findings back to their Duke. While working on the cultural expenditure of Cardinal Niccolò Ridolfi, I came across a very intriguing commission: Michelangelo’s Brutus. I had never heard of this statue, nor read about it in my art history books. This I found quite particular, since its maker is one of the greatest artists of all time: Michelangelo Buonarotti. 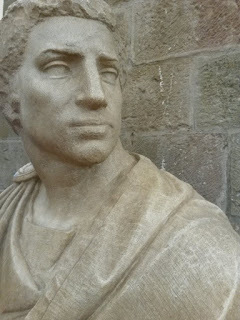 The only contemporary source we have on the Brutus is Vasari, who writes that this bust was made by Michelangelo (and finished by his pupil Calcagni) as a gift for Cardinal Ridolfi. Since Cardinal Ridolfi was part of the fuorusciti movement, art historians presume that the Brutus must convey anti-Medicean and/or republican sentiments. However, during my PPP-internship, I found out that there is still a lot unknown about this commission. As a result, my PPP-research ended up being the inspiration for my Research Master’s thesis, which I wrote on the art patronage of the fuorusciti in Rome and the question whether or not their commissioned artworks contain - more or less ‘hidden’ - anti-Medicean or republican sentiments. It was Winston Churchill who supposedly said: “History is written by the victors”. In the case of the fuorusciti, Churchill was definitely right. The (cultural) tales of these Florentine exiles have been overshadowed by the enormous fame of the Medici in later years. However, by focussing on their stories, a less black-and-white cultural history of Florence is revealed. That is exactly what the PPP-project inspires to do. The scope of the project is ambitious, but I think my research and that of the other PPP affiliated researchers shows there is still a lot to be discovered. Unlike the fuorusciti, we are not against the Medici, we are just curious to know what other families played a part in the cultural blossoming of Florence in the sixteenth and seventeenth century.